How do I send fan mail to the Sherlock cast? Due to the German release of the 8x Oscar nominated masterpiece The Imitation Game we do have a very special game for you. 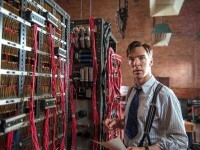 Do you have the skills to be a codebreaker? Just in time for the release of THE IMITATION GAME in German cinemas we have a tricky game for you to solve: Crack the code! 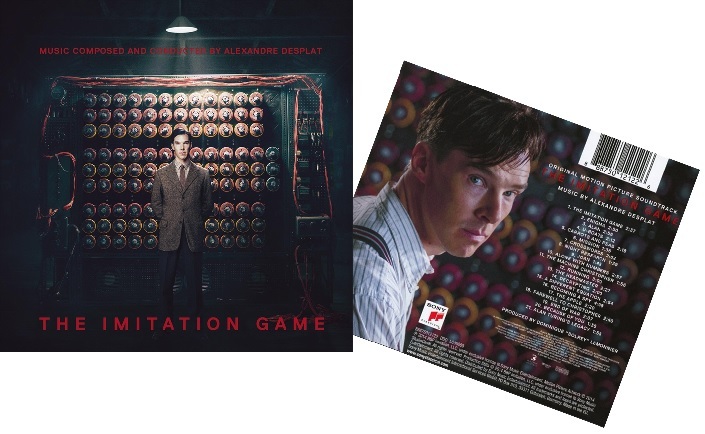 Our prizes are as special as our game: you can win one of 3 original soundtracks of The Imitation Game! Great music of a great film! A little hint: the two codes contain messages, one is a word, the other a sentence. It would be very easy for Alan – can you solve it, too? Our today’s prize is as amazing as the movie. Golden Globe and Grammy awards winner Alexandre Desplat is already well known in Hollywood. He wrote the music for more than 100 movie and TV-productions amongst them “Harry Potter Teil 1&2″, “The King’s Speech” ,”Twilight” und “Godzilla”. Many thanks to SONY Music for supporting us with this great 3 CDs! *No recourse to correspondence or legal action. Winners will be notified by e-mail.